It seems that everytime I look at wildlife I find one of them with an ugly intrusive collar. What ever happened to biologists that sit and observe wildlife without capturing them? 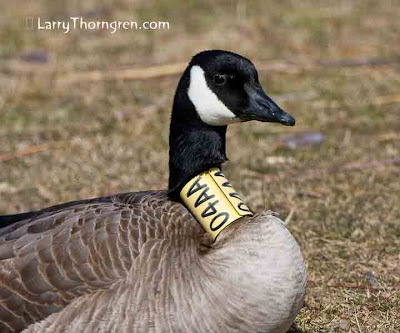 This poor goose was in Boise, Idaho. Monster Bighorn Rams - Alberta.